Sporting Lisbon Camp - Day 5. Blog Sporting Lisbon Camp - Day 5. 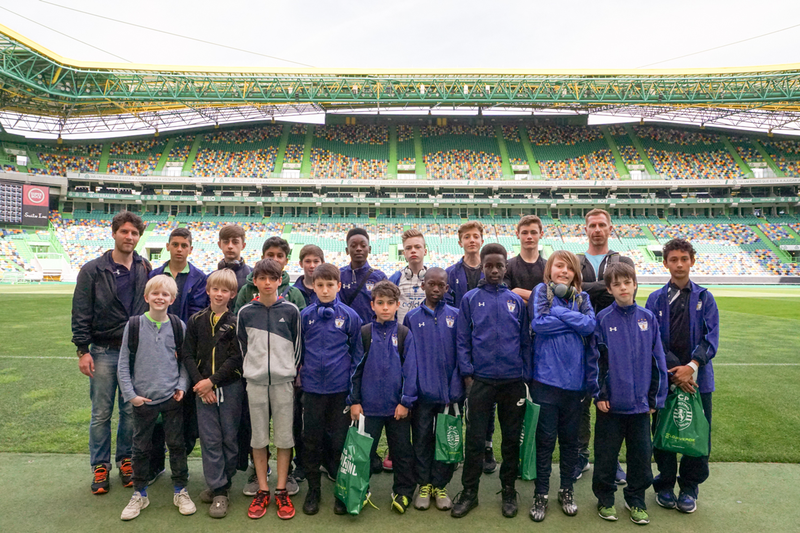 Sporting Lisbon Camp – Day 5. Last day in Portugal and there was a few sad faces as our first camp came to an end. Some early morning packing and getting ready for the morning training took place, and with everyone packed and ready the players went out for their last session of the week. The final session gave our Sporting coaches a chance to go over the week’s lessons and get feedback on what our players had learned during their time at the Academy. Into a quick warm up and the players divided up and had a fun game to finish in the sun. EFA coach Nuno seemed to think he was still 13 and ran around like madman, (pretty sure he’ll be a bit stiff tomorrow) and the boys had a fun time playing in beautiful warm weather. After a lunch and final rest we all jumped on the bus and headed to Sporting Lisbon’s stadium and museum in central Lisbon. This was a chance for our players to see the stadium and get a tour of the 1000’s of trophies that are present inside. After a few press conferences in the press room and walk out on the sidelines of the pitch, we headed to the airport to fly back home. There were a lot of tired boys getting on the plane, and sleep wasn’t too far away as the plane took off. Finally arriving back in London late Friday to the happy arms of mums and dads, the players all headed home for some well deserved sleep and rest before the kick off of training back in London next week. …possibly for a bit longer this time, if the players have their way.